So without being mean, I am just going to say someone screwed up my baby!! As you can see, someone cut the wires and realised - whatever they were doing - was not going to work and they "fixed it"
There are 2 black wires and 2 grey lines that may not be connected properly. Idk. there is a purple wire that is way too close to the (what i know it to be called) harness and the longer wire and the small one may not be connected right. Before these wires were cut and "fixed" my speedometer worked just fine and the PRND321 and mileage was visible. Now they do NOT work, and all the other lights and gauges do. I did some research but could only find issues were within the instrument cluster... I do not believe this is the problem, because as stated above, it worked fine before these wires were cut. - Which wire controls this? - is there anyway to correct this issue without having to buy a whole new wiring system? - It seems as though these wires may be brittle, so maybe I should just replace it? what does that cost on average? - Sorry If I am posting in the wrong section, I am new here, i read the guidelines though and this seemed to be the appropriate area to discuss my issue. Are all the wires connected to the same color wire? Pink to pink, yellow to yellow etc? Also are the wires soldered together or are they just wrapped around each other? Heat shrink tubing should have been used instead of tape. It might just be a loose connection. That is what I am hoping for, loose connection. All the wires are matched to the correct colours. However they are just wrapped around each other and NOT soldered. Lol, i realise it looks terrible, I was not aware this was even happening and was very upset when I saw this. I was not aware of heat shrink tubing. I just stuck electrical tape around the wires so no other issue occurred. I will get heat shrink tubing. 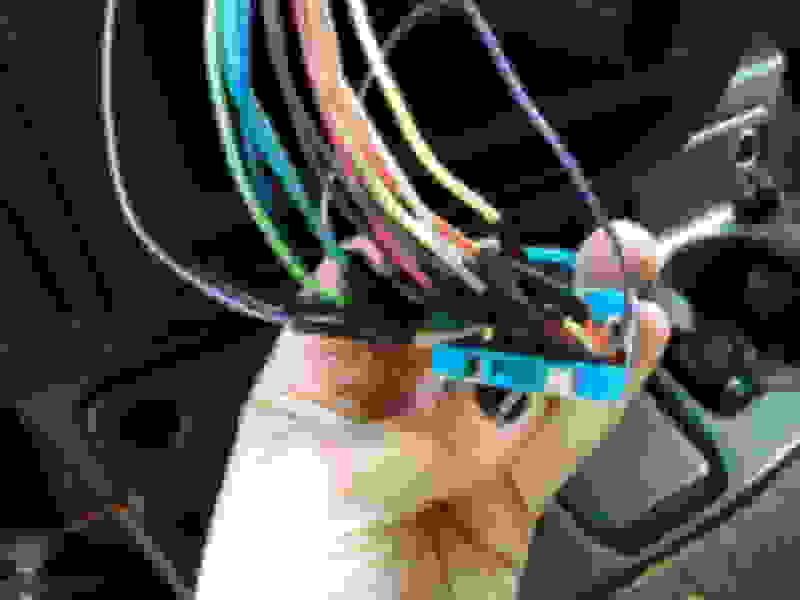 Do you know if the wires in the harness can be removed?